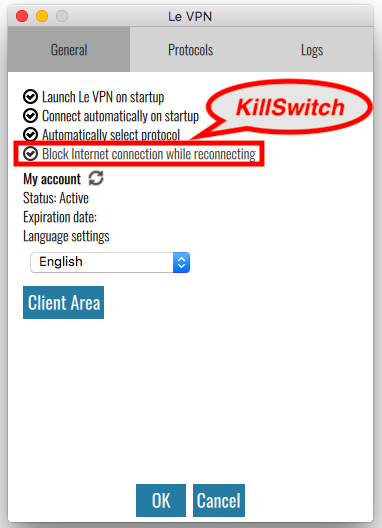 VPN Kill Switch: what is Kill Switch and why only use VPN with kill switch function? 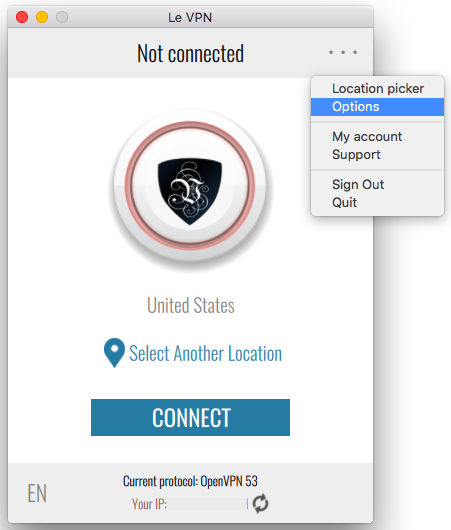 A VPN Kill Switch is a feature in a VPN app that automatically disconnects you from the Internet when your VPN disconnects without your will and the security and anonymity of your internet connection is suddenly compromised. A kill switch ensures that your online activities and IP address are not exposed without the security of an encrypted VPN connection, and cuts off your Internet access until the VPN app establishes a new secure VPN tunnel. Le VPN calls this function “Block Internet connection while reconnecting” and it can be found in the Options menu of Le VPN app. There are many reasons why an individual, or a group of people, would use a Virtual Private Network, or VPN. Aside from a large number of technical advantages of working inside a secure system, one of the main reasons must be the security and anonymity of the users for all who are outside of the network. 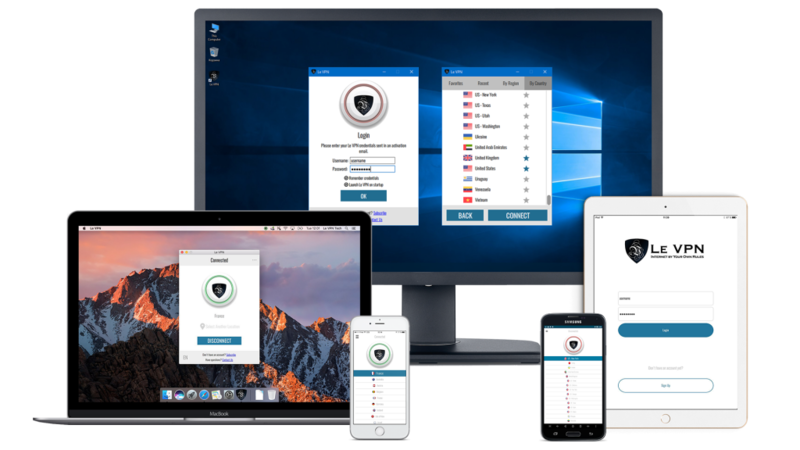 While any free proxy server or a basic VPN will provide anonymity when it works, it is paramount to mention that not all VPNs are created equal and that there is huge difference between singular proxy servers, a free VPN server, and professional VPN companies that are able to establish the best protocols, safety features and guarantees for their clients that their connection will be safe, secure and stable. Learn more what is a VPN and how it works. In modern times, there is a lot of individuals, companies and even governments that are more than willing to break even the laws of their own land to get to your data. From cookies and spyware to Trojans and viruses, and especially direct attacks using various software and even more covert techniques, malicious persons have developed a range of ways to get to your information, which they plan to use for all kinds of purposes. When the attack is focused on your own device you may take personal precautionary measures to keep yourself safe, but when those malicious factions are not attacking you but your connection over the VPN it is very important for that VPN to make even more measures to protect you as a customer. There is an old saying that ‘’it’s easy to be good in good times, hardship reveals heroes’’, and that is as true for good system software as much as for any other place. Most systems made with even basic competence will work when there is no one attacking them and trying to steal the data, but only reliable software from reputable companies will have multiple layers of protection and do everything to protect your data and identity at any given time, regardless of the attack. Finally, any good VPN provider will have a kill switch, as a last line of protection, which will cut you off from the internet network if there is anything wrong with your VPN connection, preventing your IP address from being sent from any other connection, which would be insecure. 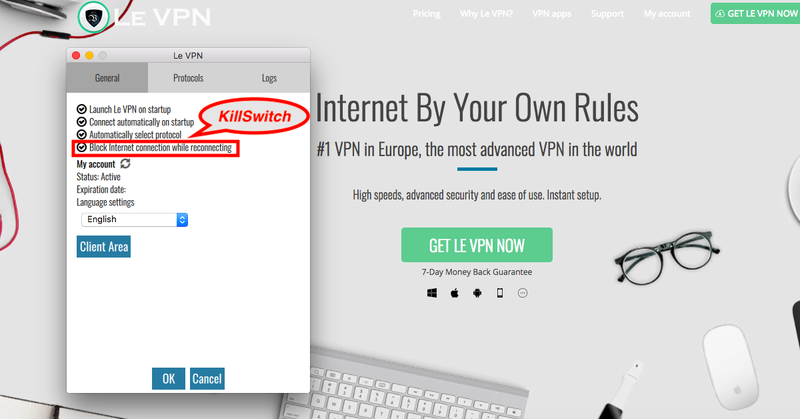 While different people may use a different name for a ‘’kill switch’’ protocol for their VPN, the basic premise is the same, automatically disconnecting you from the internet once your VPN disconnects or is reconnecting to a different server. A ‘’kill switch” is a brilliant piece of technology, and its brilliance comes from the simplicity of the concept. The only complex feature is the way the system might know that it is disconnected from the VPN service and the level of sensitivity it would have against exploits. There are two types of VPN kill switches depending on the way the protocols determine if the connection integrity is undamaged; active and passive. Contrary to the usual computer jargon, passive protection, in this case, is more secure than active protection. All of your internet browsings is determined by protocols. These are provided from different sides, including your device, your Internet Service Provider (ISP), any intermediary you might have such as a proxy server or, even better, a VPN, and the content you are trying to access online. The VPN, meaning the server you are connecting at that moment, has its own set of protocols that are not only designed to give you the fastest and most reliable connection possible, but also to mask your IP address from the hosting computer of the content you are trying to access and any third party, be it malicious or not. The quality of these protocols are the key to a good VPN service, and companies like LeVPN make sure that they are always up to date and optimized for both security and performance. Those VPN providers that have an active kill switch policy have protocols in action that are designed to find out when you are disconnected from the service, sending that information to your device as to prevent it from connecting to unsafe networks. This type of VPN kill switch is usually used when the VPN provider doesn’t have a lot of servers and the user would have a hard time reconnecting to an auxiliary server if there is a problem with the current connection. Reputable companies with a lot of experience like the aforementioned Le VPN, have raised VPN servers worldwide and have made application with whom you are able to connect and disconnect from any server they have on the planet in just a few seconds. Because of this, they are able to employ a much more sensitive kill switch policy where ‘’no news is bad news”. Passive kill switch protocols, although technically being the lack of protocols, meaning that the VPN application doesn’t wait to receive any information from the VPN server, but at the moment when it is not receiving a signal from the server it is automatically preventing that device from sending data. With big VPN providers, the user sometimes will not even notice that there was a disconnection, as they would be rerouted to a whole different server altogether. And in the case that this doesn’t happen, the user will be able to use the app to connect to a server in a different country in just a few minutes. While sometimes this might be seen as a hassle, it is the most secure way to browse. In general, the same reasons why you need a VPN are the reasons why you would want that VPN to have a kill switch. As you don’t have access to the VPN server, you can’t know if it is being hacked, overburdened or taken down for maintenance, and that is why you need an experienced company to provide you with a VPN connection. There is no point in connecting to a VPN server that isn’t secure and doesn’t guarantee anonymity, as that is the primary role of a VPN service. Sadly, in the modern world, there is a number of entities that would break a significant number of laws and pay large amounts of money to have access to your data. This doesn’t only include hackers and identity thieves, but also corporations, and more often than not even governments. And when we mention governments is would be very wrong to presume that this only means some backwater dictatorial regimes in the middle of nowhere, here we are talking about developed countries, such as the US, but also Canada, Australia, and New Zealand. Security agencies of these governments would like to have a preview of what their citizens and residents are doing in the country, in the process usually breaking several laws, all in the name of security. The reason government interference is so often mentioned is not that the government plans to do something exceptionally wrong with your information, although conspiracy theories exist, but that even though government technology to obtain information is one of the best in the world, their ability to retain that information from others is severally lacking. Government’s servers containing sensitive personal information are being hacked ever so often, due to a large number of people working there creating leaks and security issues. 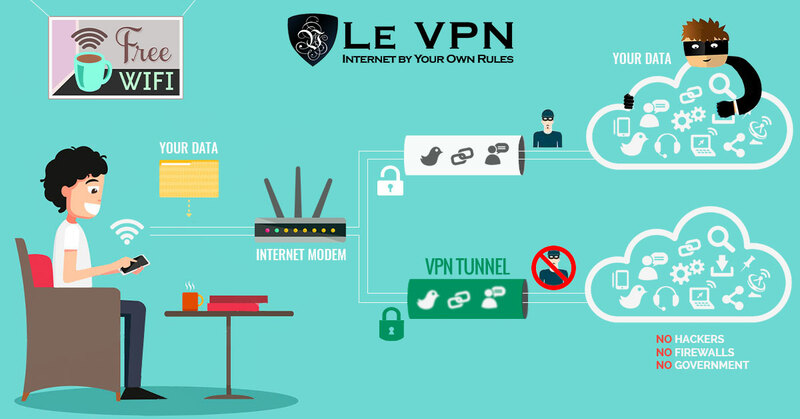 If you are using a reliable VPN service like Le VPN, that has a large number of servers and a long list of security protocols, you can be sure that there is no one that will be able to illicitly access your information. You will be able to secure your devices and to stay anonymous while accessing any data online. And in the event that the whole server is placed offline for any reason, you will be already disconnected from the Internet because of the kill switch while automatically reconnecting to a different VPN server. When using a VPN service that prides itself on its security, you may be certain that if there is any danger your devices will be safe. While this is generally beneficial and highly sought after, because of these measures you may often be disconnected because of other reasons. There are three main reasons, unaffiliated with system security why your VPN service can be disconnected from the server, and you will usually be able to spot when this problem occurs as you wouldn’t be able to connect to any server from that VPN. The three reasons why most users are being disconnected are Firewall or router settings, Wi-Fi strength, and Device Protocol. It is often that your Firewall or Antivirus will create sudden drops in internet speed causing you to be disconnected from the internet because of the kill switch, or will deny the VPN app internet access as it is not considered a system application. In these cases, you will simply need to go to your settings and allow the VPN to access the network. If this is not done, passive protection will engage every time when there is a disconnection with the internet, disconnecting you from the service altogether. While the strength of your connection and the internet speed provided by your ISP and not directly correlated, having a weak connection to the internet will create a red flag for the VPN application, as it mimics a loss of connection. For this, you will have to ensure that your connection to your ISP is strong. Internet speed is not of prime importance here, just that the connection itself is not being interrupted. Some devices use a UDP network protocol as a default, which has been proven to be unreliable for bigger systems, which includes most VPN providers. This protocol sometimes clashes with the VPN protocols, forcing you to be disconnected from the system. To fix this, change your default network protocol to TCP and restart your connection. There should be four parties in the data stream every time you are using a VPN service connection: Yourself (Your device), Your ISP, Your VPN, and Content Hosting. If this chain is uninterrupted, you will have a stable and fast connection, letting you browse the internet as you see fit. When using a VPN, all of your communication outside the VPN network is being encrypted, meaning that it is useless for hackers or any other malicious entity for as long as they don’t have access to your device. Your IP address is also impossible to see even for those running the web content you are accessing. As hacking a VPN server of a professional VPN service provider is practically impossible, spyware, cookies and other more malicious software will wait for the VPN connection to be discontinued, making you send the request for content from the IP address that your ISP has provided you with, latching onto that information instead. A kill switch prevents any requests to be sent if that is not done through the VPN, ending all connections and blocking all internet access until a secure connection can be made, or until you manually turn off your VPN app or the kill switch in it. With some VPN providers this may often be a problem as there is not a lot of servers that you can connect to if one is down for any reason, but for large VPN providers, such as the aforementioned Le VPN, this is just a question of selecting one of the dozens of different servers and continuing your browsing. In most cases, your VPN kill switch will be automatically enabled as part of the app installation. If it was, for any reason, disabled, you can reactivate it by going into the system settings for the app and just turn it back on. This is a usual way for Windows, Linux, and Android, with Apple OS having its own system settings for VPN where you will need to check the box that you want the kill switch enabled. It is advised that you have your VPN kill switch enabled at all times. When you are using a well-developed and reputable VPN service that has a lot of servers the downsides of having a kill switch are minimal, while it will keep you protected at all times and no matter the circumstance. In the times when the idea of a VPN was relatively new, internet speeds were low and connections were shaky to say the least (sometimes also called the dark ages), having a kill switch could potentially disconnect you from the internet for hours at a time. These downsides are now more or less non-existent. If you are using only a proxy server or a free VPN there might be some issues and difficulties to connect, but if you have a good enough VPN provider, this will be just a small hick-up in your browsing, costing you well under two minutes. The main advantage of having a VPN kill switch is the security, and therefore the peace of mind that even in the unlikely occurrence that your connection will, for some reason, fail, your device and all the information on it will not be harmed. With a VPN kill switch incorporated into the app, there will be no possibility that your IP address could be accidentally exposed because of the severed connection to the VPN server. There is only one risk when using a VPN that has a kill switch, especially a passive one, and that is too large packages of data that you want to download. This is usually something like video files or recordings, which will stop downloading once there is the mentioned hick-up, and you will be forced to start the download again. This can be considered a ‘’first world problem’’ as just a few years ago even downloading larger images with a VPN was slow and impossible, but with expert VPN providers that allow for bigger VPN internet speeds, we have come to expect that we are able to do anything over a VPN as we are over our own internet connection. In these cases, if the data you are trying to download is available to you when not using a VPN, pause the download and restart it once you are off the VPN. If not, it is sometimes better to use a slower server that is more reliable than some that are closer but has much more users and is thus often unstable. And obviously, if at first, you don’t succeed, try again. In the world where your IP address is often more precious than your postal address, it is much better to wait a few minutes for a secure connection than to expose yourself to spyware and other malicious software. Happy browsing, and stay safe!